When The Fuller Center for Housing launched the Fuller Center Bicycle Adventure in 2008, there were high hopes that it would become a success. It’s growth since that first ride from San Diego to Savannah, however, has surpassed even the most optimistic expectations. Not only will this year’s 3,500-mile ride from Seattle to Washington, D.C. push the ride over the $1.5 million fundraising milestone, but it also features the largest-ever roster of Adventurers — more than 90, including 36 riders who will make the entire cross-country journey. There are so many that the Adventure for the first time had to be divided into two rides — an Orange Ride that leaves Seattle today and a Blue Ride that will depart on June 18. Today’s ride will be a bit of a warm-up ride as they pedal just 43 miles to Bothell, Wash. 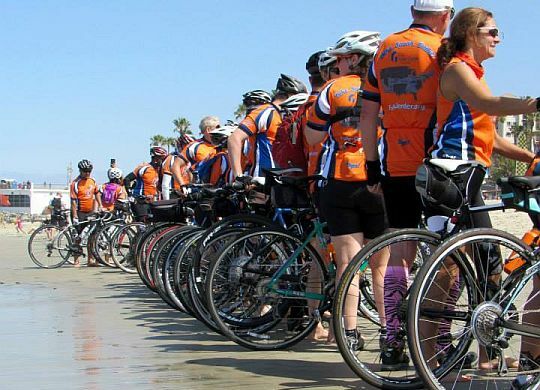 However, cyclists will average 75 miles per daily segment with both the Orange and Blue rides concluding together on Aug. 14 in Washington, D.C. Along the way, the cyclists will have six build days with Fuller Center covenant partners. You can follow the Bicycle Adventure’s progress across the country on the ride’s Facebook and Twitter pages. I am bursting with pride at all the bicyclists and sponsors!!! Ride on, and be safe! God bless you ALL!